What Exactly Qualifies as a Personal Injury Case? 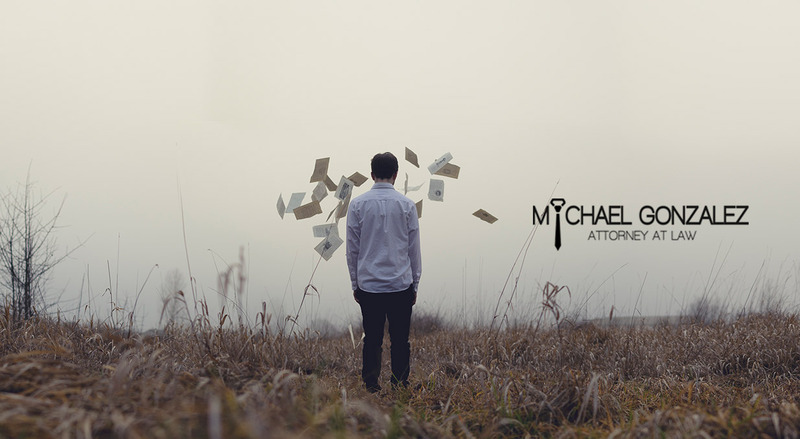 Dealing with some type of personal injury can cause you to feel alone, frustrated and angry. Personal injury cases are one of the most common seen in the courtroom just because of the fact that they happen so frequently. If you feel that you’ve dealt with a personal injury that you could receive compensation for, you may want to know what exactly a personal injury case looks like or entails. Knowing the basics of a personal injury case can help you to decide if you are ready to file a lawsuit. What Does “Personal Injury” Mean as a Lawsuit? Unlike injury or damage to a property, personal injury basically refers to anything that caused a person bodily or emotional harm as a result of another person’s negligence. There are a lot of different situations that could represent a personal injury, so knowing these types of problems can help you to decipher if your case would be valid in a court of law. Personal injury is most often caused by the negligence of another person, but the injury could also have been intentionally done to you by another person in general. No two personal injury cases are alike, since certain cases may seem more extreme than others. Understanding what constitutes as a personal jury will allow you to know when it’s time to speak with your lawyer about filing a case within the court system. Whether the injury was sustained out of pure accident or it was deliberately caused to you by another person, this doesn’t change the fact that you could be entitled to compensation. Accidents sustained while driving a car or being hit by a car are considered a personal injury. You might have been in a car accident where you were either hurt physically or emotionally. Some people, especially those who are either walking or bicycling, may be hit by a car that causes them extreme bodily injury. These types of accidents are incredibly common just because of the fact that most people drive on a regular basis. Getting into an accident with a truck or dealing with problems caused by a truck can also be classified as a personal injury. Truck drivers are employed by a specific company and are trained and licensed to drive their vehicles. Because of this, you should feel safe on the road when driving around trucks and truck drivers. Unfortunately, this isn’t always the case for those who are out on the road around these specific types of vehicles. Most employers will have insurance to cover the costs and compensation associated with accidents on the job. Depending on where you happen to be working, dealing with an accident can be incredibly common for you and your fellow coworkers. Whether you slip and fall at work because of poor flooring materials or you hurt yourself on heavy machinery or equipment, you can receive compensation for this type of accident. Outside businesses and stores are responsible for keeping their properties cleaned and free of hazards at all times. You’re probably familiar with going into a store and seeing a spill on the ground or a layer of ice that’s right outside the door in an area you simply cannot avoid. Slipping or falling at a business location can be dangerous, and it can cause a number of sprains and breaks that you’ll live with for awhile. Whether you were in a heated altercation with someone or were randomly hit or struck by another person, personal assault is definitely a type of personal injury that could allow you to file a lawsuit within the court system. Personal assault can result in minor injuries or it could result in major injuries that leave scars or require additional surgery to fix. You may be visiting a neighbor or are working on another person’s house as part of your job. If you sustain an injury in that person’s home or on their property, you could file a lawsuit because of negligence. This is especially true if the injury that you sustained while there was a direct result of something that the owner of the property could have avoided for you. When a company gets wind that their product is defective in any way, shape or form, they will often have a recall on that product. If you were one of the unfortunate ones to be a victim of that defect, you could file a personal injury lawsuit. Defective products or services can range from anything you buy from a store to issues with a car that were later recalled. Visiting your doctor, dentist or surgeon are just some things that we all do quite regularly in our lives. If you’ve dealt with a problem as a direct result of a procedure you had done, this is grounds for filing a personal injury case against that person. It could be dentistry that was not done correctly or a doctor prescribing you the wrong types of pills. These types of injuries could cause life-long damage to the person, so it’s vital that you receive some type of compensation. Even industrial diseases could be classified under personal injury and could be compensated for as a personal injury case. Industrial diseases basically refer to life-long problems you or a loved one has sustained as a result of exposure to a harmful material in the past. For example, many people were exposed to asbestos decades ago because it was often used in home building and construction. Nowadays, people who were once exposed to asbestos are finding that they are being diagnosed with mesothelioma and other breathing problems. If you or a close loved one has recently been involved in what could be a personal injury, filing a claim with a lawyer is a good option. Receiving compensation for the problem could pay medical bills, replace lost wages or just help to soothe the emotional pain and suffering that often comes as a result of a personal injury that was sustained. Compensation is never guaranteed with a lawsuit like this, but it never hurts to see if it is something that you could receive as a result of the injury you’ve sustained. Another benefit to filing this type of case is the fact that it can help to prevent future accidents from happening, depending on the specific case you have. For example, you may be filing a lawsuit against a store that had slippery floors that you fell on. By filing a lawsuit, the store and its managers will be more prone to take better action at preventing this from happening again in the future. This could help other people who go to the store and would have otherwise slipped on floors that were not properly dried. In a way, filing a lawsuit can help you to receive compensation while protecting others from the same fate. If you feel that filing a personal injury lawsuit is the right option for you, it is vital to speak with a lawyer who can help. Many lawyers will work on personal injury cases, and they will be able to tell you exactly what they see coming out of your case. In some instances, you may feel that you have a case on hand that could help you receive compensation, but your lawyer lets you know that the case may not win you anything because of a poor outcome or similar outcomes they’ve had in the past with identical cases. Filing this type of claim is also something that cannot be done overnight, and it’s imperative that you understand this if you are expecting to receive compensation within a matter of days of filing the lawsuit. In fact, it could take months before your case is seen in court, especially if you’re living in a very busy city area that handles hundreds of cases in a day’s time. Understanding that it could take time for you to receive compensation will also allow you to ensure that your case is fully together and can be presented well in a court of law. Your lawyer will be able to walk you through the process of actually filing the lawsuit and what to expect. There is a lot of paperwork involved with personal injury cases, and having witnesses and others who can back up your claims will definitely help your case in the long run. It is vital that you let your lawyer know about any witnesses who might have been present or around you when you sustained the injury that you are filing in the court system. Receiving Compensation – What Does It Mean? Compensation is basically the amount of money or services you will receive if you were to win your personal injury case. Compensation is never guaranteed with a personal injury case, since some courts will either dismiss your case or not give you any compensation at all. Compensation can also come in a variety of different forms, but the two most common would be a large lump sum of money or regular sums of money spread out in several months or years. The specific type of compensation that you receive is up to the judge and your final ruling. Getting compensated for a personal injury case may not seem like an enormous deal, but it can definitely provide you with the financial relief that you need. Oftentimes, people who were a victim of personal injury sustained medical ailments that now need to be paid. The medical bills can begin to pile up for you, but having compensation from the injury can either pay all or most of these bills. Also, many people lose income because of their personal injury, especially if they had to take days or weeks off of work because the injury was quite major. Compensation you receive from the case can help you to pay bills that your income would have otherwise paid for you. Personal injury cases are very different from each other and no two cases are exactly alike. Some people sustain injuries while out shopping and others may sustain bodily harm from a defective product or service that they had been using. Other people may even get hurt while on the job, and this causes them to either lose their job or have to take a lot of time off of work because of the injury that they have. While it may seem like a relatively daunting task to visit a lawyer to see if you could potentially receive compensation from a personal injury, the money you may receive in the future can be an enormous benefit to you and your family. The lawyer you’re working with will walk you through the entire process of actually filing the claim, what you need to do and going to court to be seen to receive compensation. While there are many steps and processes to actually filing a personal injury claim, your lawyer will be the professional who helps guide you through this difficult time. Knowing that you could receive compensation also helps tremendously if you have medical bills, utility bills and other expenses that have been piling up as a direct result of your injury. No matter what type of personal injury you’ve dealt with in the recent past, it’s vital to consider going to court and getting compensated for it. Whether you were in a car accident or had a problem at work with machinery or equipment, there is a way for you to get reimbursement for the pain and suffering that you have had to endure on your own.